On-going advice to hedge funds and financial institutions in connection with the development of comprehensive compliance programs to address regulatory obligations imposed by U.S. and foreign securities laws and regulations. Mr. Mann has been ranked annually as a “Leading Individual” in the area of Securities Regulation in Chambers USA: America's Leading Lawyers for Business since 2009. He has also been recognized by Chambers USA in the area of Securities Litigation within the District of Columbia. The guide described him as one of the “wisest and most versatile tacticians” in complex securities regulatory and enforcement matters, and also as having "an excellent reputation for cross-border expertise in SEC enforcement matters." Those interviewed by Chambers noted that he is “valued for his unique perspective and for being assertive in an effective way for his clients.” Mr. Mann was also recognized in the area of Securities Law by The Best Lawyers in America®, which stated that he "is the kind of outside counsel most in-house lawyers seek: he is knowledgeable, responsive and provides his advice in a very calm and effective manner on a wide range of issues." Prior to entering private practice, Mr. Mann served for seven years as the first Director of the Office of International Affairs at the U.S. Securities and Exchange Commission. Mr. Mann established the key formal and informal relationships between the SEC and its foreign regulatory counterparts in the world’s most important developed and emerging markets. In particular, Mr. Mann negotiated formal understandings to facilitate cooperation on enforcement, regulation of cross-border trading activity, and the development of securities markets. These understandings continue to be the centerpiece of the SEC’s international efforts. Mr. Mann also led the SEC’s development of new regulatory approaches to facilitate access to the U.S. securities markets through cross-border securities offerings. Moreover, Mr. Mann directed the SEC’s multilateral efforts to improve and harmonize regulation world-wide and to remove unnecessary barriers to trade. Prior to becoming Director of the Office of International Affairs, Mr. Mann served as Associate Director in the SEC’s Division of Enforcement. While in the Division of Enforcement, Mr. Mann carried out investigations and litigation, with a particular emphasis on international matters. He acted as counsel for the Commission in SEC v. Levine, SEC v. Certain Unknown Purchasers (the “Santa Fe” case), and SEC v. Winans (the “Wall Street Journal” case), among others. In 1993, Mr. Mann was awarded the rank of Distinguished Executive in the Senior Executive Service by President Clinton. In the fall of 1990, he was presented the Chairman’s Award for Excellence. In the fall of 1984, Mr. Mann received The Manual F. Cohen Outstanding SEC Younger Lawyer Award from The Federal Bar Association, Securities Law Committee. Mr. Mann is a Member of the Council on Foreign Relations, the Board of Advisors to the Securities and Exchange Commission Historical Society and a Member of the Federal Bar Association / Securities Law Committee Executive Council. From 1994 to 2002, he was a member of the Hampshire College Board of Trustees. 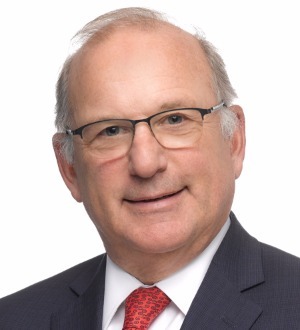 From 1999 to 2003, he served as the Chairman, and currently is a member of the Securities Market Advisory Board of the Toronto International Leadership Centre for Financial Sector Supervision. Mr. Mann was a member of the Board of Directors of the Federation of American Scientists from 1998 to 2002. Mr. Mann is admitted to practice in New York and the District of Columbia.